At Hullmark Dental we prefer the natural smile, but we can only go so far with Invisalign, whitening and composites. However, we can completely transform your smile with Porcelain Veneers. We recommend veneers on teeth that require a lot of reshaping or don’t respond well to teeth whitening. Most people have imperfections in their teeth. These minor differences in tooth size, length, colour and direction make our smiles unique. However, sometimes these imperfections complicate our dental health. For example, cracked teeth make chewing painful. Other times, imperfections make us too self-conscious to smile for the camera. We can certainly help you with that. At Hullmark Dental, we bond thin, porcelain shells called veneers onto the front of your teeth to give you the consistent symmetry, shape and colour you desire. During your consultation appointment, we take impressions and photos and create a waxed model of your teeth for you to view before proceeding with treatment. We then prepare your teeth and fabricate the veneers based on our agreed-upon shape and colour. During your final appointment, we may administer anaesthesia and buff your teeth before bonding them to the veneers. These ceramic layers mask tooth discolouration, fractures, chips, stains and other signs of wear and tear. 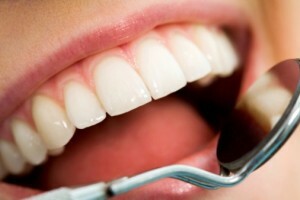 Veneers can be an excellent alternative to teeth whitening, white fillings or crowns. If you have any questions about Porcelain Veneers, please contact us.